I would like to extend a warm welcome to you all to this Project Citizens Forum on ‘Governance in Hong Kong; Are the Pillars Crumbling?’. This is the latest in a series of Forums organised by the Project Citizens’ Foundation, which focus on fundamental components of Hong Kong’s free society. 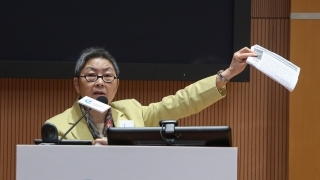 Previous Forum topics have included press freedom, academic freedom and institutional autonomy, Hong Kong’s role as an international financial centre and the recent assault on the integrity of the ICAC. 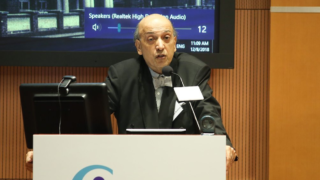 When the Board of the Foundation selected the subject of this Forum months ago, we could scarcely have imagined that it would be held at a time of such political upheaval, both here in Hong Kong and overseas. The results of the Brexit vote in the UK and the presidential election in the US have confounded the pundits and precipitated an unprecedented degree of social division and uncertainty. In both countries, each with a long tradition of governance founded firmly in democratically based institutions, populism has prevailed over traditional party affiliations, and sometimes vicious mud-slinging over reasoned policy debate. 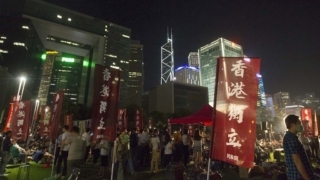 In Hong Kong, we are witnessing a similar trend of disconnect between government and governed, as exemplified by the 2014 Umbrella Movement and the recent rise of ‘localist’ sentiment. There is a key difference, however. Hong Kong remains a long way from achieving a democratically elected head of government and legislature. Are our pillars of governance strong enough to withstand the current pressures, or are they in danger of crumbling under the weight of social discontent – particularly among young people – and the increasing erosion of Hong Kong’s autonomy by interference from Beijing? What are the key pillars of our system of governance? The fundamental bulwark is the rule of law. It underpins all aspects of civil society. The rule of law can only ultimately be safeguarded if we continue to enjoy equality before the law and have a truly independent Judiciary and law enforcement agencies that are corruption free and politically neutral. Adequate checks and balances between the powers of the Executive and the Legislature are crucial to ensuring transparency and accountability in government policy-making, and the prudent use of public funds. 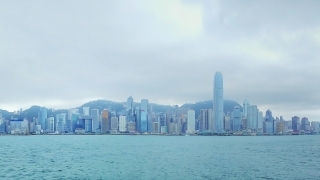 There is no substitute for good leadership of all branches of government: leadership that is characterised by vision, integrity, a willingness to listen and respond to the needs and wishes of the community and an absolute commitment to defend the rights and freedoms of Hong Kong people under the Basic Law and ‘one country, two systems’. These freedoms – of speech and of assembly, of the press, of religion, of academic thought -are all inter-locked: if one is undermined, others too will start to be eroded and the pillars of governance will indeed begin to crumble. It is just as important to embed the principles of integrity and respect for the rights of the individual within the culture of private sector and non-government institutions. Only in this way can we safeguard the just, open and stable society we all cherish. My opening remarks will focus mainly on the civil service which I was immensely proud to lead between 1993 and 2001. Over the past 40 years, I believe our community has been well served by a loyal, able and largely clean civil service, working without political bias to formulate and deliver policies that are in the best interests of Hong Kong people. A key success factor has been that members of the Civil Service were appointed and promoted solely on the basis of merit. In my day, the culture was one in which even quite junior officers were encouraged to put forward ideas, to argue their case and, when appropriate, politely disagree with their seniors. Policies were crafted with care, to ensure that all the pros and cons of a particular course had been fully weighed up. The principle of accountability was deeply embedded and shared. If mistakes were made, junior staff were not thrown to the wolves in order to the save the face of their seniors. In successive roles as a head of department and then policy branches (now bureaux) I was always clear that the buck ultimately stopped with me. Sadly, many of these strengths are being eroded. The past 10 years have seen a depressingly steady exodus of capable middle ranking staff, particularly from the core policy-making ranks of the Administrative Service. Among those who have remained, there are signs of growing apathy: a recognition that there is no point in standing up for your views in a decision-making process that is becoming increasingly top-down and opaque. One hears constant complaints from the private sector that it is getting harder and harder to obtain even routine decisions or rulings from government departments and agencies, as the responsible staff look over their shoulder to make sure there is no risk of them being blamed should something go wrong. An increasing ‘silo’ mentality, on the part of departments and policy bureaux, is resulting in fractured and inconsistent policies. What we desperately need is leadership that looks holistically at the big picture goals needed to sustain Hong Kong as one of the world’s great international cities. Almost all of these failings can be attributed to a lack of good leadership at the top. I have always taken the view that the Political Appointment system, first introduced by former Chief Executive Mr Tung Chee Hwa in 2002, is fundamentally flawed. The Principal Officials who head up our policy bureaux have no legitimacy, other than that they are hand-picked by a Chief Executive who himself has no democratic mandate to govern. In practice, the system has relied heavily on appointment of former civil servants, further depleting the ranks of the bureaucracy. Appointments of outsiders, typically with little or no experience of administration, have by and large been embarrassing failures. While it takes decades to build an exemplary civil service, it takes no time at all to tear it down. Our once admired and respected Police Force is becoming increasingly politicised and alienated from the public. 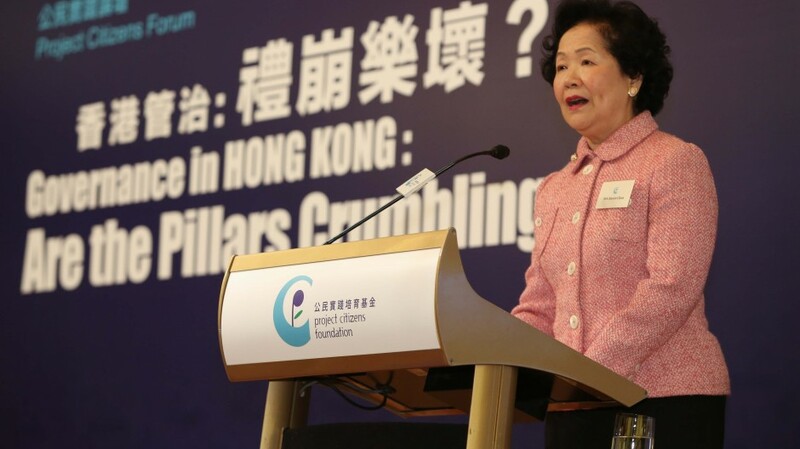 The sudden and largely unexplained demotion of a formerly highly-praised Deputy Commissioner of the ICAC has caused deep disquiet, due to suspicions it was triggered by her diligence in investigating a complaint against the Chief Executive, C Y Leung. Now, another fundamental pillar of governance, the rule of law safeguarded by an independent Judiciary, is also being challenged by the recent interpretation of Article 104 of the Basic Law, while a case pertaining to its application was under adjudication in the local courts. Nothing can be more depressing than a Legislature where a majority of members refuse to take an independent stance on any issue that comes before them. Instead, they simply do as they are told by the local Government or, worse still, by the minions of the Central Government based in Beijing’s local Liaison Office. This majority is sustained only by the existence of Functional Constituencies, many of which are ‘rotten boroughs’ with only a handful of electors, some or all of which are not even human beings, but companies. At the recent Legislative Council elections last September, no less than 12 Legislators were returned unopposed. We have been living with this flawed electoral system for many years. The problem is that, far from seeing the prospect of constitutional reform on the near horizon, the inequities in the system are becoming more entrenched and even exacerbated. New threats to Hong Kong’s legislative pillar of governance are emerging as we speak: first in the form of potential LegCo candidates being barred from standing for election on the say-so of a relatively junior civil servant and more recently by systematic moves to disqualify elected legislators who appear to harbour ‘localist’ or pro-independence sympathies. I support strongly the Basic Law and ‘one country, two systems’. 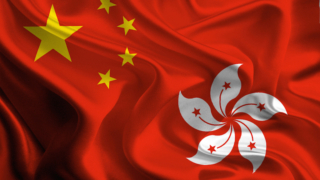 Advocacy of independence for Hong Kong is neither realistic nor appropriate. But the more the Government tries to stamp out these so-called ‘localist’ sentiments, by autocratic and heavy-handed tactics, the more resistance it will face. The anger and frustration of many sectors of our community, particularly young people, is real and is crying out for a response. Hong Kong today is a deeply divided society. We need a Chief Executive who is able and willing to begin the healing process. In a free society, such as ours, patriotism can be nurtured but not mandated. Nor can it be deployed as a weapon to suppress freedom of speech and thought. That said, there is no excuse for acts of calculated disrespect to our nation and, in the process, undermining the efforts of others to achieve democratic reform. Hong Kong has played a key role in supporting the rise of a peaceful and prosperous China. We will continue to do so, provided ‘one country, two systems’ is faithfully honoured and Hong Kong people are given the space they need to maintain their way of life and core values and to chart a course towards supporting the Motherland that is in their interests and not simply dictated by Beijing. There can be little doubt that our pillars of governance are being shaken. If we are to protect them from crumbling, we must all play our part in resisting the progressive erosion of the core values underpinning our system of governance. As a proud alumna of the University of Hong Kong I am particularly concerned at the recent political interference in the governance of the University and the assault on its institutional autonomy. I will be listening with particular interest to Professor Mathieson’s views in this regard.